In 1947 Bir Bhalla was a young boy when then British India was divided into India and Pakistan. Bir belonged to a Hindu family living in Lyallpur, Punjab. Along with millions of Muslims, Sikhs and Hindus they were forced to leave their ancestral homes to make way for new political boundaries. Bir Bhalla's story, symbolizing numerous untold others, has been depicted by his grand nephew Arjun Rihan in this endearing short film named "Topi." Read more at the Topi blog. Arjun is currently at Pixar and is devoting a part of his time to designing the 1947 Partition Archive logo and upcoming web portal. Naatak (http://www.naatak.com) presents its 35th production, Asghar Wajahat's JIS LAHORE NAI DEKHYA depicting a story based on the partition of India and Pakistan. It is a play in Hindi with English supertitles. The play debuted on March 6 to a sold out audience. Now showing on March 11 and 12 in Cubberly Auditorium, Palo Alto, CA. Following each showing, a number of community members (some of whom have interviewed with us on their Partition experiences) will be sharing their stories during a panel discussion following the play. We are happy to be collaborating with Naatak in building awareness on Partition. We are excited to be collaborating with the online magazine, Sikhchic.com, which will feature one video interview per week on their website. We will together work on energizing the global community in documenting this important history before it is forever lost. A begin date will be announced soon. 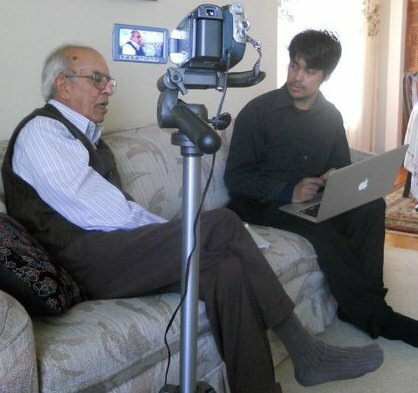 In the San Fransisco Bay area, we have partnered with the India Community Center (ICC) is collecting stories from 1947. The ICC has provided The 1947 Partition Archive volunteers a space for 3 weekends in February and March to conduct on-site interviews. Click here to schedule an interview at the ICC. We are experiencing a few delays in the public debut of our video archive. We expect to begin presenting our video archive this summer. Please stay tuned for more information. We welcome aboard new volunteers who have joined hands with us and are actively participating since February: Ganesh Anathanarayanan, Harleen Serai, Jyoti Tulsi, Gurpreet Dipak, Sarah Kirby, Preeti Kaur representing several time zones. A number of students from the UC Berkeley DeCal course on Partition being taught this semester have begun conducting interviews with community members. Masters student Natasha Goldie and Bachelors students Marykate Ross and Abhishek Roy have now conducted their first interviews. 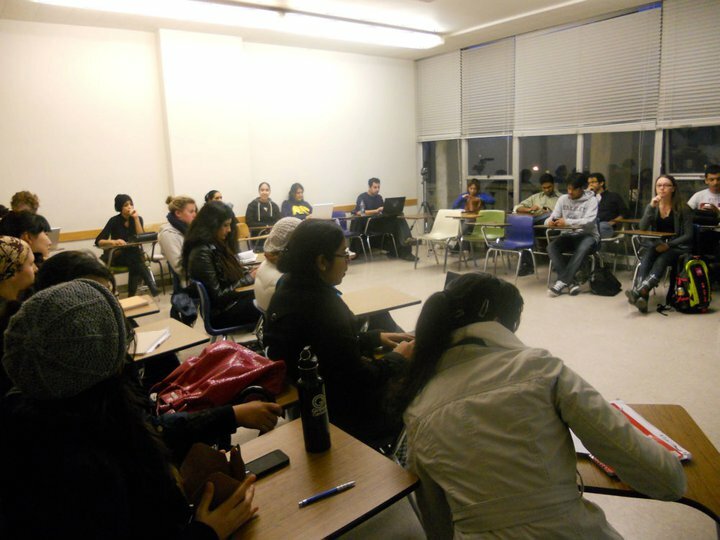 The course is offered via the Ethnic Studies department at UC Berkeley and facilitated by volunteers Harkiran Bolaria, Ramandeep Kaur and Jaskiran Mann. The DeCal Course on Partition at UC Berkeley during a regular meet, at 6:30pm on Wednesdays. Facilitators Harkiran Bolaria and Ramandeep Kaur are in the foreground. In this photo, Bachelors student Abhishek Roy interviews Dr. Waheed Siddiqee who is a retired Electrical Engineer and now enjoys playing the sitar as well as providing free physics and mathematics tutoring services to students in the community. Dr. Siddiqee was a teenager when he migrated from Hyderabad to Lahore, Pakistan. Masters student Natasha Goldie interviews Dr. Gurnam Brard, a retired physicist from the Lawrence Livermore National Laboratory. He is also the author of "East of Indus" a personal story and fascinating ethnography on life in old, rural Punjab. Dr. Brard is also a marathon runner and was actively running as recently as last year. In 1947 he was a teenager living in rural Punjab and lost his closest and best friend, a muslim, to the violence surrounding Partition.